I joined Medium because it’s a beautiful platform. It’s pleasant to write, to read, and to interact with other people who also like to write and read. All of that is great, and none of that has changed. Over time, though, I’ve begun to feel that this relationship is lopsided. Not only am I handing over the traffic to my work, but I’m not getting any distribution support from Medium. If I don’t promote my writing here, I get no views, so I have to promote Medium by driving traffic to my posts. It doesn’t feel right. To top it off, I guilt-subscribed to the $5/mo plan because I thought it was the right thing to do to support Ev’s vision of a platform for writers. I now feel that investing my time and words (and subscription money) in Medium was misguided. If I’m going to promote my work, I want to get the benefits. Why hand the SEO, traffic, goodwill over to Medium? It’s mine. A few weeks ago I purchased rbucks.com. “Rbucks” has been my online moniker for nearly 20 years now. Although I don’t love it, I have all the things for it. It’s my Gmail, my Facebook, my Github, my Twitter (and therefore my Medium). It might as well now be officially my Internet presence with a gilded dot-com domain. So that’s what I’m doing. 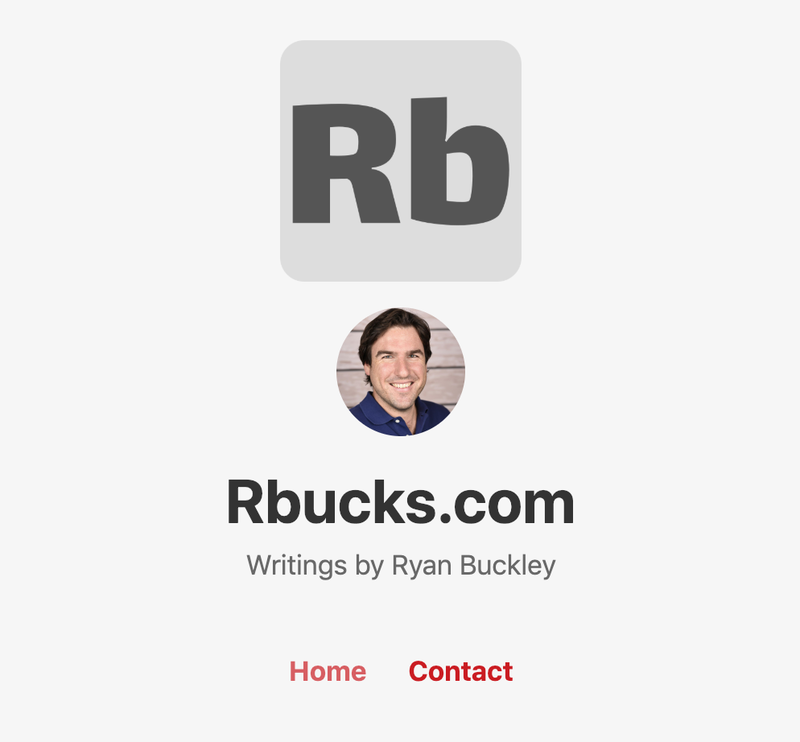 I’ve moved all of my writing from all of the sites I’ve published on (Medium, LinkedIn, and various other blogs and sites I’ve attempted over the years) and compiled them onto rbucks.com. It’s a WordPress site. To get the SEO benefit, I’ve deleted all of my posts from Medium. I won’t be posting any new stuff here, but I’ll tweet when I write something new. For that, you can follow me on Twitter, Ev’s older and wiser creation. And thanks for all the views and claps!